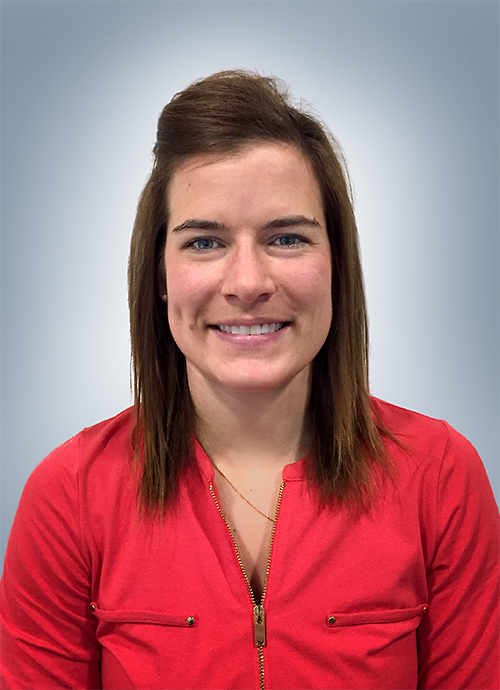 Erica graduated with a Master of Science in Physiotherapy from the Dalhousie University in 2012 after completing a Bachelor of Kinesiology at the University of Manitoba while playing CIS hockey for 5 years. She has acquired postgraduate education in manual and manipulative therapy as well as acupuncture and Functional Dry Needling. She also holds her certificate in Sports Physiotherapy and is trained in Selective Functional Movement Assessment (SFMA). Erica recognizes the value of continuing education and that the field of physiotherapy is fluid and is eager to learn from her mentors and peers. What Erica loves about physiotherapy is the unique challenge that each client provides and the problem solving skills required to get to the root of the problem. Her strong background in a variety of sports has taught her the value of persistence and teamwork. Her physiotherapy practice is heavily based on manual therapy and exercise prescription to correct movement patterns and motor coordination deficiencies that lead to musculoskeletal injury and impairment. Erica treats people of all ages and all walks of life, from your weekend warrior to your elite athlete. She enjoys especially working on complicated problems that have many contributing factors. Erica has worked as a team therapist with organizations including Hockey Canada, Hockey Alberta and will be was part of the Canada Games Therapy team this past summer in Winnipeg. Originally from Manitoba, Erica enjoys getting out to “play” in the mountains any chance she can. She also occupies her leisure time with officiating elite hockey, playing both fastball and hockey, and dabbling in half marathons, and photography.